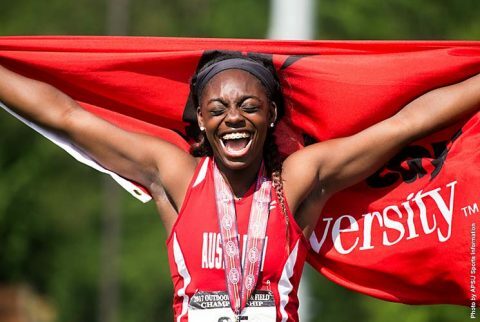 OVC Outdoor Championships | Clarksville Sports Network - Clarksville Tennessee's most trusted source for sports, including Austin Peay State University. 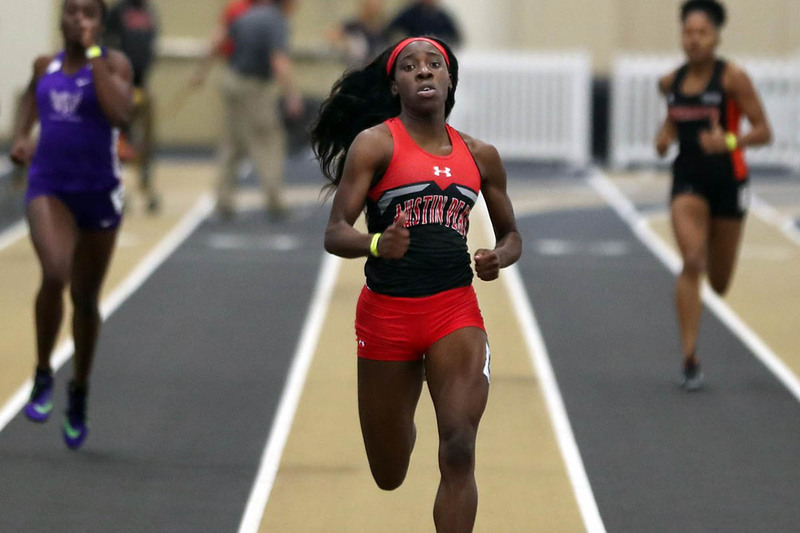 Nashville, TN – As opening statements go, Austin Peay State University track and field made a nice one at the Vanderbilt Opener, Saturday. Many incumbent athletes showed that they had not been idle since last May’s Ohio Valley Conference Outdoor Championships, and several newcomers also shined in their first appearances as Governors. 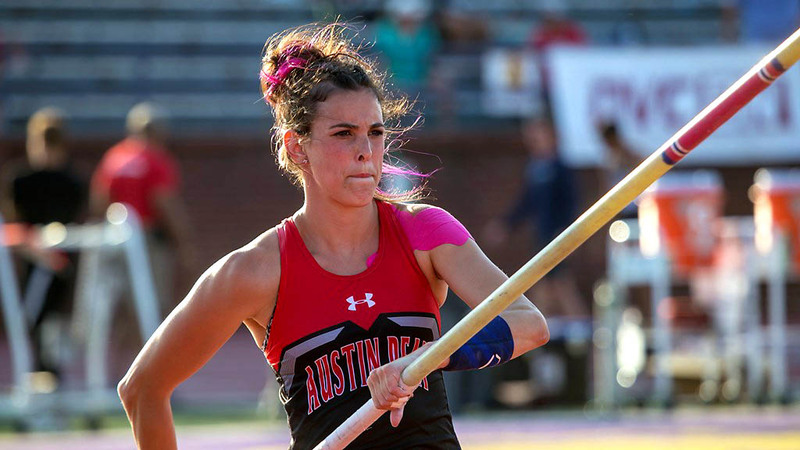 Clarksville, TN – Name an accolade and APSU’s Savannah Amato achieved it or came pretty dang close in 2017-18. The Delaware, Ohio native was just about as productive as it was possible to be during her junior campaign. Eight wins, two school records, two more Ohio Valley Conference Championship gold medals and another appearance at the NCAA Regional level makes for a busy season indeed. Cookeville, TN – The pole vault picked up the big points and the sprints positioned themselves well for a big move on Saturday’s final day of competition at the 2018 Ohio Valley Conference Outdoor Track and Field Championships, hosted by Tennessee Tech at Tucker Stadium. Cookeville, TN – Austin Peay State University track and field picked up a pair of crucial early points on Day One of the 2018 Ohio Valley Conference Outdoor Championships, Thursday, at Tucker Stadium. 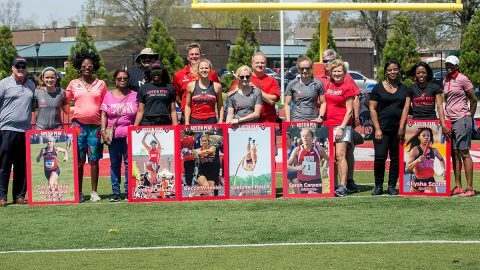 Bowling Green, KY – In one of the most incredible performances in Austin Peay State University track and field history, junior Savannah Amato shattered a long-held record and all but guaranteed a third straight appearance in the NCAA East Preliminary thanks to her performance at the Hilltopper Relays. 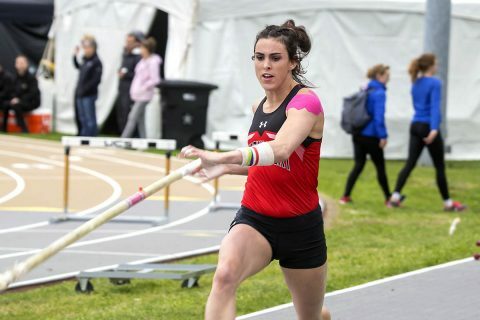 Amato’s 4.17m (13-8.25) mark, cleared on her second attempt at the height, shattered APSU Athletics Hall of Famer Carrie Burggraf’s 2010 mark, giving the Delaware, Ohio native sole possession of both the indoor and outdoor school records. 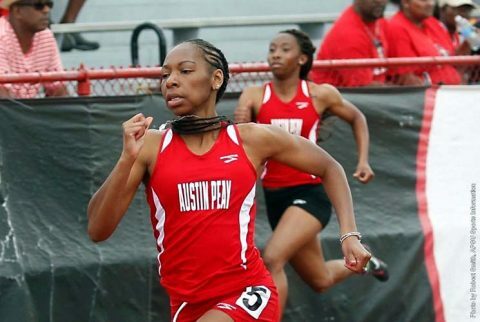 Clarksville, TN – Austin Peay State University track and field will put forth a trio of student-athletes at the NCAA East Preliminary next week in Lexington, Kentucky, with seniors Kaylnn Pitts and Chancis Jones and sophomore Savannah Amato scheduled to compete. 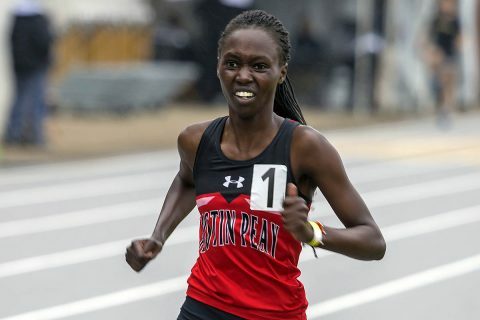 This is the seventh consecutive season Austin Peay has sent at least one athlete to the regional round, and the second time in three seasons the Govs have equaled the program record with three athletes earning qualification. Oxford, AL – With parity at an all-time high in the Ohio Valley Conference and faced with one of the toughest fields the league has produced in years, Austin Peay State University track and field battled down to the final event at the 2017 OVC Outdoor Championships at Choccolocco Park, Saturday, bringing four more medals back to Clarksville. 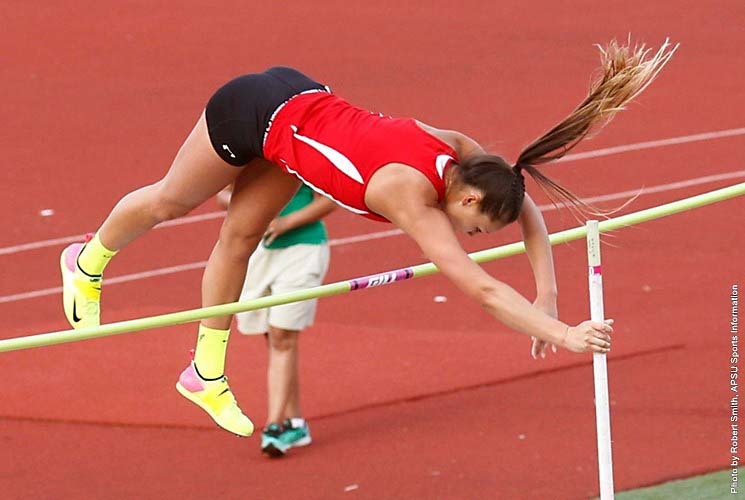 The Governors final tally of 87.33 points placed them fifth—the fourth consecutive year Austin Peay posted top-five team finishes in both the OVC Indoor and Outdoor Championships. 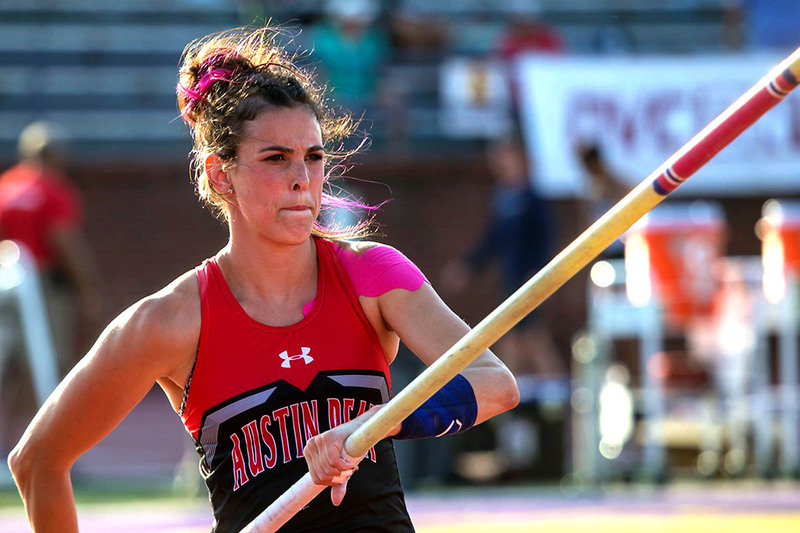 Oxford, AL – A successful defense of sophomore Savannah Amato‘s gold medal in the pole vault was one of several highlights for Austin Peay State University track and field on the second day of the 2017 Ohio Valley Conference Outdoor Championships at Choccolocco Park. Clarksville, TN – Austin Peay State University track and field kicks off its bid for a conference title, Thursday afternoon, at the 2017 Ohio Valley Conference Outdoor Championships at Choccolocco Park in Oxford, Alabama.